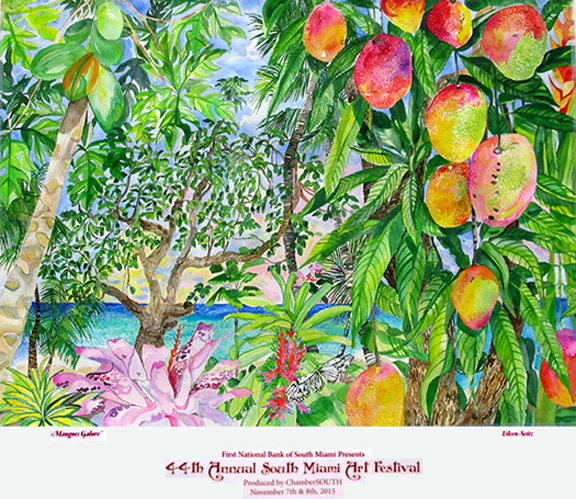 “Mangoes Galore” my original 22″ x40″ watercolor was selected from 150 Artists, to be the official Chamber South -South Miami Art Festival 2015 Poster. come and enjoy the great time. I was AWARDED “Best in Watercolors” out of 150 artists in the show. 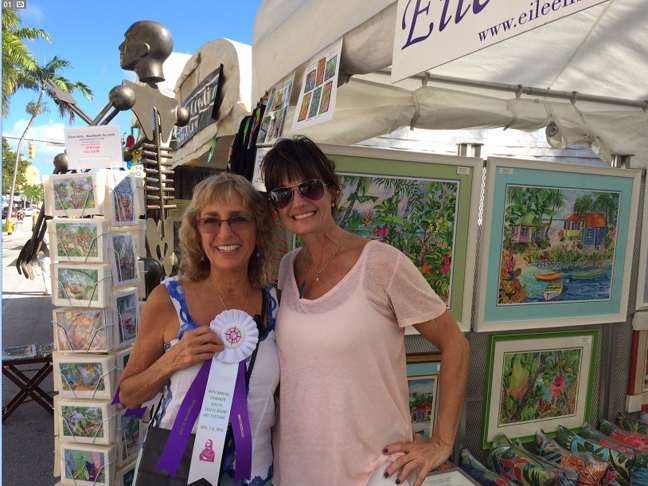 Here I am with Mary Scott after she presented me with the beautiful ribbon.